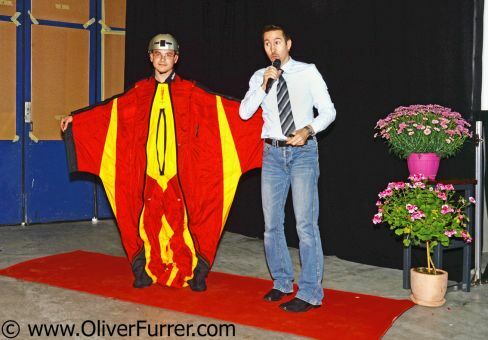 news 08.05.15: Oliver had the opportunity to give another speech about skydiving, BASE jumping and wingsuit flying at the annually Kaufmann-Sanitär customer event. Thereby an audience about 100 people came to Egg, Switzerland and listened to the unique oration content. 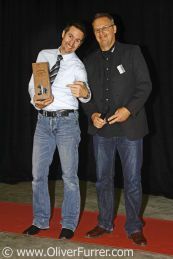 He presented the topics with pictures, videos and a live wingsuit display dummy. In the end, all questions by the crowd has been answered and the hosts where happy about the successful evening!